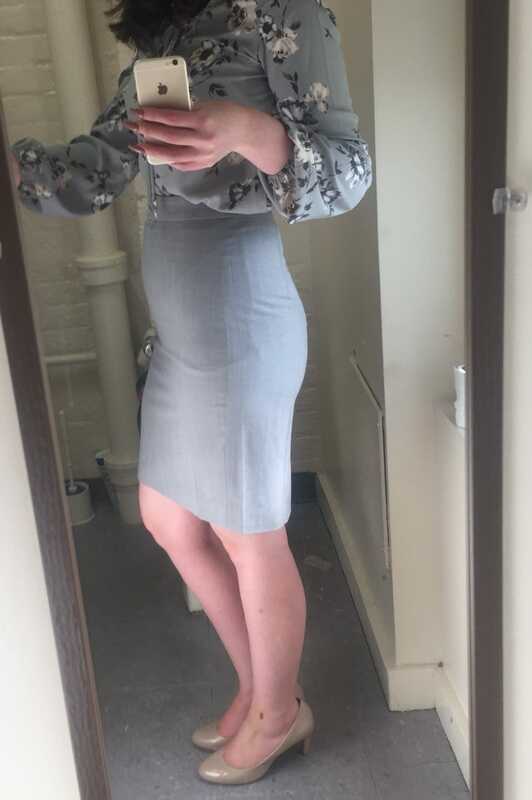 My boss told me that while she doesn’t care personally, I should just be mindful of skirt length. One persons keeps complaining for some reason. I wasn’t out of dress code but I guess I’m in the grey area. I wore a dress a few days ago that is similar in length to the skirt I posted, it’s no longer acceptable. So now a large chunk of my dresses might be pushing the line and are not appropriate for work. Anyone have recommendations as to where to shop. What I’m wearing today I guess is as short as I can go.